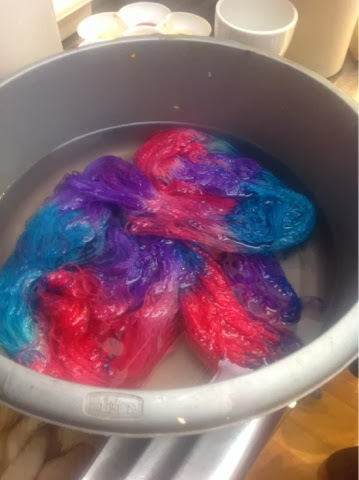 Yesterday was the trial run of our dyeing day and it went better than I'd imagined in my dreams when people were horribly burnt and everything felted. We started off with coffee and cake so priorities were maintained. 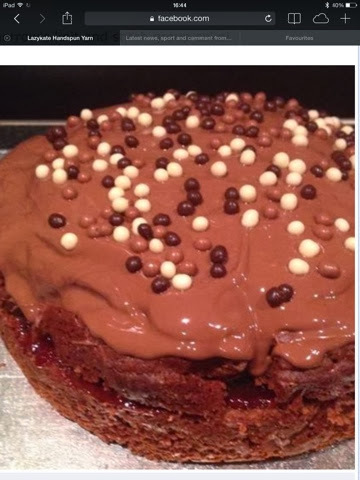 This cake - which needs no words. 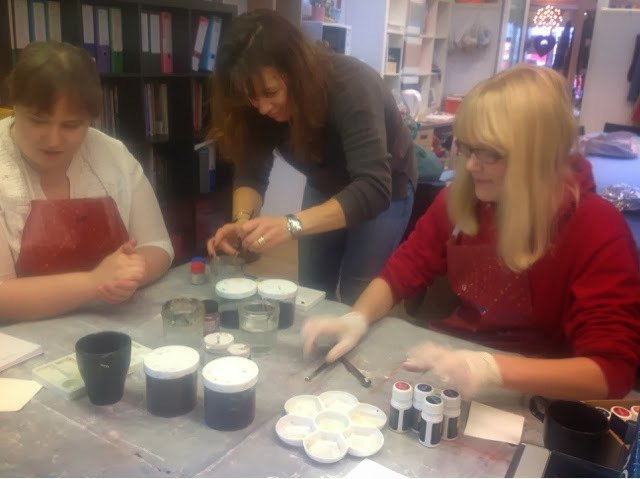 We began with acid dyes, everyone chose their colours, we soaked yarn and fibre and then we painted. 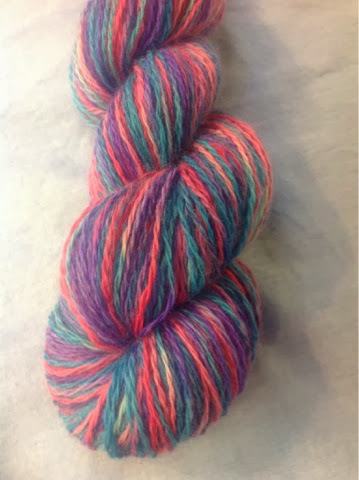 Some chose delicate shades, others were bold but we were all pleased with what turned out. 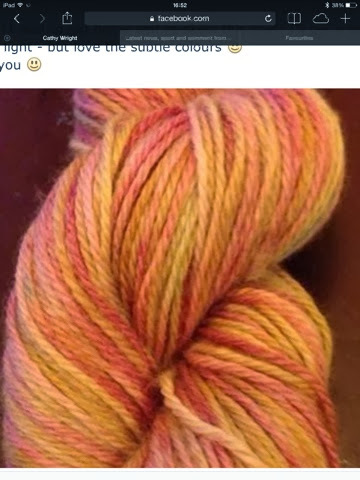 It's interesting how spinners, knitters and weavers will paint their yarn, or fibre with their chosen project in mind. 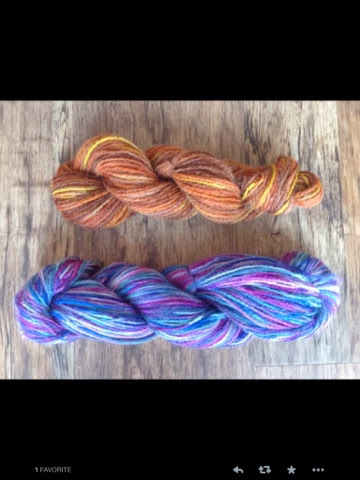 Here Heather shows her two skeins, Heather was dyeing with a view to weaving her yarn. The day was busy but productive, we've got ideas for the next workshop and we're hugely excited. So you ladies who said they're coming at the beginning of Feb, get your creative juices flowing, we're ready for you! Thanks to Heather, Jennie, Tamzin and Ginny for their images!